This honor is bestowed upon an educator from a CCID member institution who has demonstrated outstanding achievement in international education related to community colleges and similar institutions worldwide. The nominee must be a leading advocate for international education through curriculum/culture development, study abroad, faculty exchanges, educational linkages, or other international projects at his or her institution. 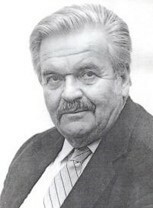 This award is named after Dr. Werner O. Kubsch (1922-1992), a German who highly valued the community college concept and international education. Dr. Kubsch was the founder and president of Studiosus Reisen München, the largest independent educational and cultural travel organization in Europe. Dr. Kubsch held a special relationship with CCID. The winner will be selected by the CCID Board of Directors. In addition to the nomination criteria, the Board will look for creativity, innovation and demonstrated achievement. 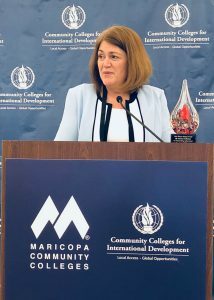 2018 Recipient Suzanne LaVenture, Davidson County Community College, North Carolina, U.S.
© 2018 Community Colleges for International Development | CCID. All Rights Reserved. Site by GrowthZone.